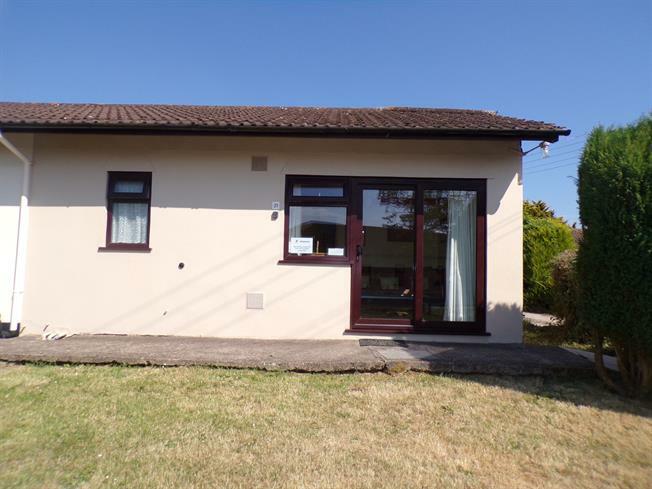 2 Bedroom End of Terrace Bungalow For Sale in Sidmouth for Offers in excess of £65,000. We are pleased to present this two bedroom lodge offered with no chain. The property is situated in the Stoneleigh Holiday Village and is perfect either for holiday use or as a holiday rental. The property has been looked after over the years and has had a new patio door and windows fitted. The current owners are happy to leave furniture, including the sofas, and kitchen appliances. The property comprises of open-plan kitchen/living room, with sliding doors to the front, two double bedrooms, and a bathroom. A car-park is located close by. Fitted with wall and base units with roll over work edge surfaces, stainless steel sink, space for under counter fridge/freezer, and electric cooker, and hob. Sliding doors opening to the front.